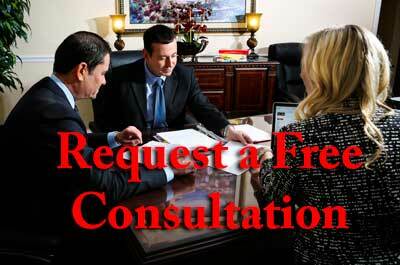 You need a dynamic legal team with attorneys experienced in both divorce appeals and trial strategy. An family law appellate lawyer that does not take cases to trial lacks the “on the ground experience” to understand what went wrong at trial, and how to plan the attack on the final judgment. You also need an appellate attorney with the backing of a sizable law firm – an attorney that has adequate backup, research resources, and a group of experienced legal minds to discuss the nuances of the appeal. The Florida Court System was intended to be fair and impartial. But the fact is that sometimes a judge will not follow the law, or take a look at evidence that will prove your case. Judges are human and many try to do their best. But that is little consolation to you if your final divorce or custody judgment arrived and you believe it is horribly unfair. The fact that “justice is blind” is little comfort if the judge failed to properly consider your point of view. If you are unfortunate enough to be in that category you may want to consider appealing your divorce decree. Family law appeals are never a simple issue. In a divorce or custody appellate case, you are required to prove the judge ignored evidence, ignored the law, or was so fundamentally unfair that a higher court would rule they abused their discretion. Those are high standards and never simple. But unfair, illegal, and potentially abusive judgments happen all the time. Judges are human and many respond to the same things every human notices. One party or another may be difficult to like. Of the judge may respect one attorney more than the other. The fact is that many courts issue many improper judgments – on almost a daily basis. And the vast majority never go any further because of one simple fact: That divorce and custody appeals are not simple matters. But despite that fact there people that successfully appeal their judgment and succeed. And in the process, those people turn around what was a very unfair final judgment. You have the right to appeal most orders or judgments issued by a Florida court. Depending on the type of judgment, the process and complexity of an appeal varies. But there are some requirements that should be in place to prepare for a successful appeal of your family law order. If you believe you may want to appeal a custody or divorce order, depending on the terms of the order, you definitely should budget for a court reporter at the trial. A court reporter takes down every word spoken at court – including whatever the judge says. It is absolutely critical that you hire a court reporter for your appeal. The transcript provides a detailed record into how the judge decided the case. A successful family law appeal contrasts that detailed activity to prevailing legal standards – to convince the appellate court your judge did not follow the law. A divorce appeal is not a small undertaking. Our appellate attorneys spend a large amount of time reviewing the transcript, and performing painstaking legal research into past court decisions. We then weave our argument into a 10 – 50 page appellate brief, prepare an incredibly detailed package of documentation, and file that package with the court. The cost is significant and the timeline is strict. You should decide in advance if you would be willing to appeal your divorce or custody judgment, work on your budget, and be ready to go.